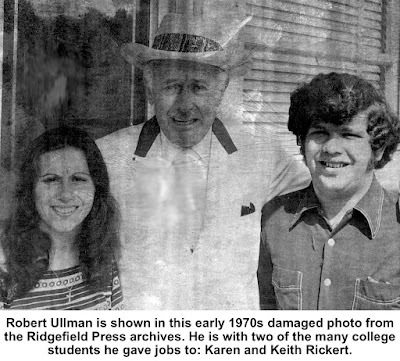 Ullman, owner of Ridgefield’s oldest industry, did his best to help both groups, hiring many mentally disabled workers and senior citizens. He also provided jobs for numerous students working their way through college. industry. Its modest-sized factory on Route 7 just north of Route 35 turns out thousands of specialized tools used by mechanics, technicians, and others around the world. Robert James Ullman was born in New York City in 1905. His family of seven was so poor that that he dropped out of school when he was 12 to work in a shoe factory. By the time he was 16, he had started his own company, making artificial flowers and employing 16 people. After two years, the business failed and he was broke — but not for long. By his 20s, Ullman was president of the Mercury Manufacturing Company and a partner in Century Dryer Company, both in New York City. New York is also where, in 1936, he founded Ullman Devices, a company now well known in industry for making small tools, many involving moveable mirrors on long telescoping handles that allow the user to see hidden places in machines. Among its other products are flexible claws for grabbing small parts, like screws, that have fallen into hard-to-access places; small lights on flexible mounts; scribers, hooks and picks on handles; screw and nut starters; and magnetic pick-up devices. Most were designed by Ullman himself. Ullman’s customers have included such corporations as Ford, Xerox, General Motors, and Sears (for which Ullman has manufactured tools for the Craftsman brand). 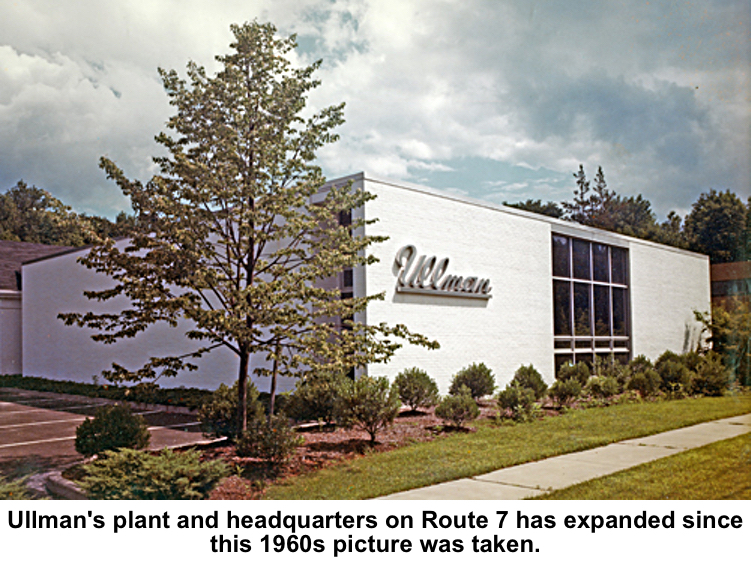 Ullman moved his operations at first to Norwalk and then, in 1959, he built a plant on Route 7 in Ridgefield that still is its only quarters. and disabled, especially the mentally handicapped. Quite a few became loyal employees for many years. “Treat others as you want to be treated yourselves,” Ullman once said of his attitude toward all his employees. Ullman served as a director of the State National Bank in Ridgefield and had been listed in Who’s Who in the United States. He and his wife, Marie, the company treasurer and secretary, lived in Wilton. 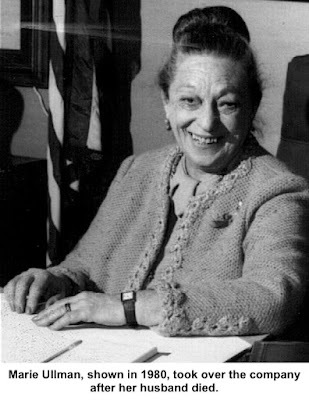 Marie Ullman died in 1999 at the age of 87.